ConvertFlow tracks visitors and displays CTAs on your website only once the tracking script is installed. 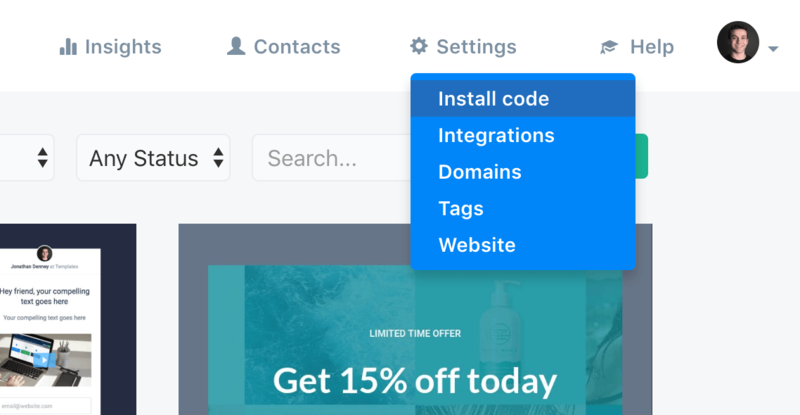 Each website dashboard comes with it's own tracking script, and this can be accessed by clicking Settings > Install Code. Here you can quickly click to copy your websites' tracking script. Ideally this would be placed in the <head> tags of your website for best performance. If you scroll down more on this page, you'll find your website's "area" snippets, which are used for dynamically showing embedded CTAs and content in the areas of your website that you predefine. ConvertFlow's tracking script is very small (10-20 kb), and is cached and served through a global CDN. It also loads asynchronously, meaning it loads after the content of your site and has little impact on your site speed other than the few kilobytes of data needed to download the script. The rest relies on the content you create in your ConvertFlow CTAs. 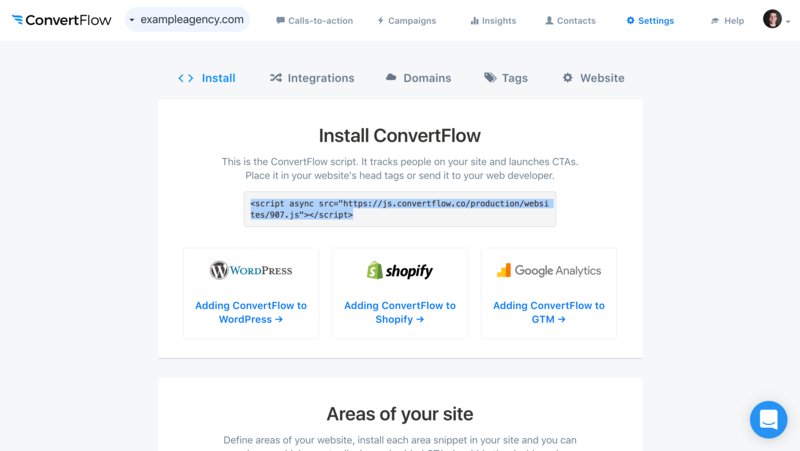 Other than the Google Fonts you may select when designing your CTA content, ConvertFlow handles all the performance optimization for you by compressing images and caching CTAs intelligently on your website.